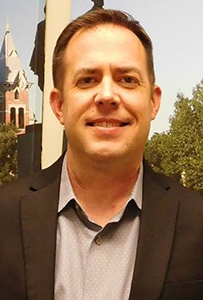 Dr. Christopher Pieper teaches courses in introductory sociology, Senior Colloquium, social movements, social psychology, and graduate courses in political sociology and religion and politics. His research interests include political sociology, social theory, religion, and technology/media. Pieper has published and presented widely on topics related to culture and politics, particularly the role of morality in social movements. In 2015, his first book, "Sociology as a Spiritual Practice: How Studying People Can Make You a Better Person," was published. Using illustrations from current events, comparative religion, and new social research, the book demonstrates that practicing social science cultivates empathy, mindfulness, and the virtues that bring lasting happiness. Currently Dr. Pieper is working with several current and former graduate students on projects on how technology is changing morality, politics, and spirituality, as well as the future of religious social movements. He also manages the social media presence for the department. #SocEm! Blake Victor Kent and Christopher M. Pieper. Forthcoming. "To Know and Be Known: An Intimiacy-Based Eplanation for the Gender Gap in Biblical Literalism." Journal for the Scinetific Study of Religion. Dr. Pieper's Full Curriculum Vitae.